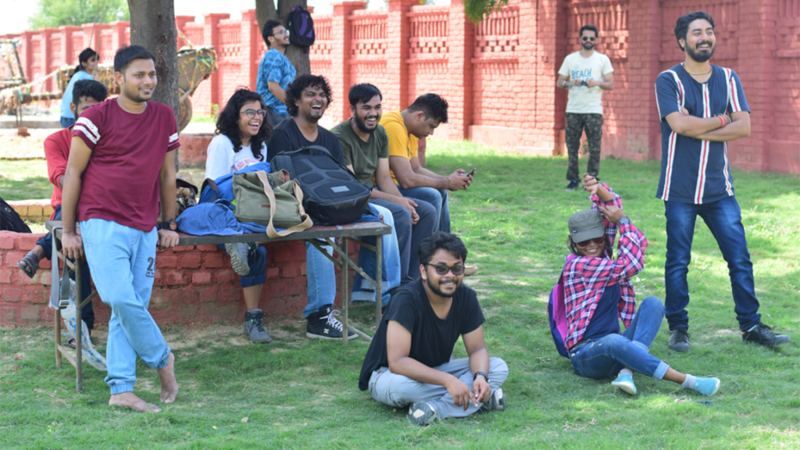 Our team recently took a break from the busy city life and went for a picnic to Joygaon. 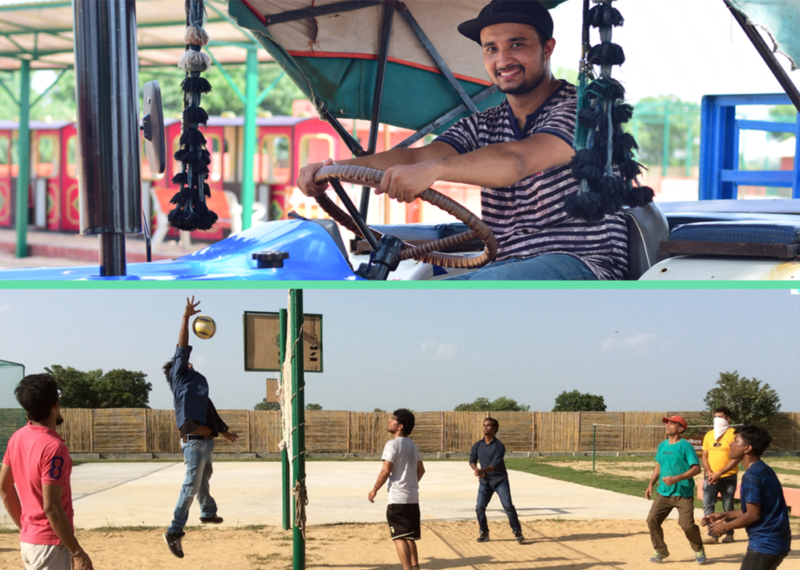 Situated in nature’s lap, it is an amusement park with lots of fun-filled engaging activities. On reaching there, our welcome was done by a dance performance where a few of us even danced along and got pictures clicked with the traditionally dressed artists who led us to our breakfast area. After breakfast our day really began, we got engaged in shooting range where Archery and Dart game made us into competitive kids aiming to hit as many targets as possible. 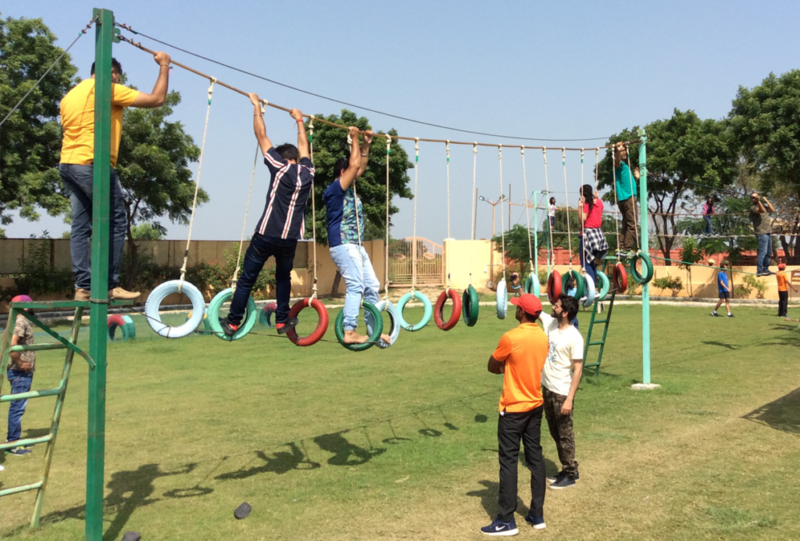 Next came the Adventure Zone, where our stamina was put to test with obstacle activities like Net climbing, Block Bridge, Rock climbing. Especially, Trampoline that became the main attraction for our entire group. By half time, we had all run out of our energies and decided to take a break with indoor games. 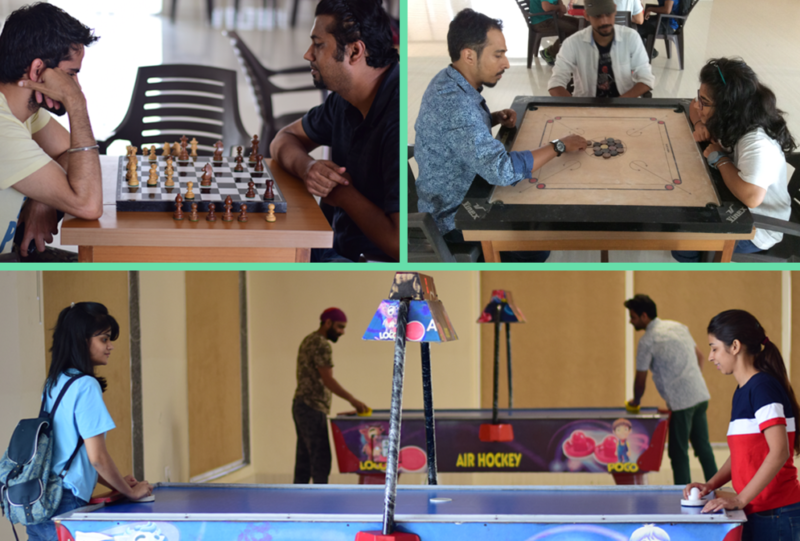 From games like Chess & Billiards to Air Hockey & Carom, the variety was fun and engaging. We concluded our trip by trying our hands on a few artisan activities from rural India: Pottery being the first, almost every one of us now owns a personally made object of clay, followed by a fun Tractor ride around the Farms of Joygaon. Overall, it really was a pleasant break from our busy city schedule. 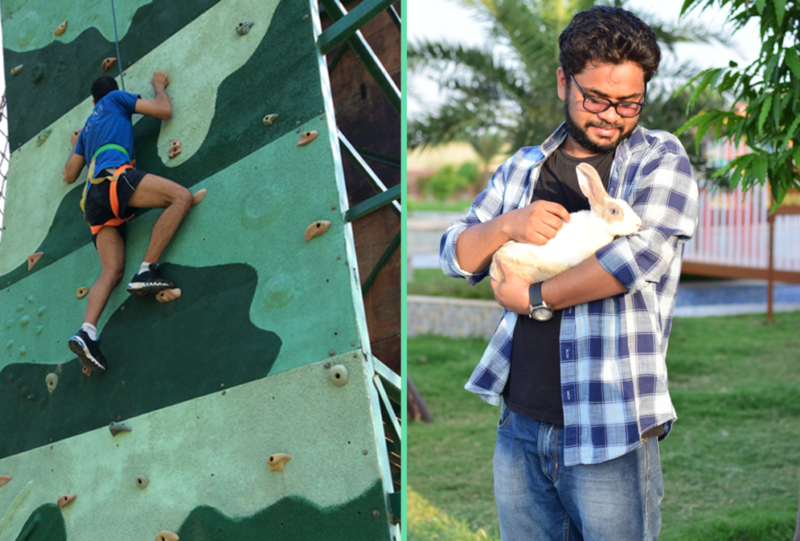 From the moment we reached, till the time we had to depart, the activities in Joygaon kept us on our toes and turned out to be an experience worth reliving.